As the cold winter months get closer and the temperature drops, it’s time to start planning your winter vacation to the tropical paradise of St. John, Virgin Islands. This tiny, exclusive, 9×4 mile island has it all—from beautiful beaches and eclectic villages to pristine waters that you can sail, snorkel, fish, dive, boat, or do just about anything you like. What sets St. John apart from the other Caribbean islands is its abundance of white sand, crescent beaches and steep hillsides covered in lush tropical vegetation. The Virgin Islands National Park covers two-thirds of St. John and has a lot to offer the outdoorsy traveler looking for St John activities in the heart of nature. Nothing beats riding a horse on a trail as you take in amazing ocean views and the flora and fauna of St. John. At the Carolina Corral in Coral Bay, you will meet and interact with horses, donkeys, dogs, cats, chickens, ducks, sheep, baby goats, and baby donkeys. Or book an afternoon Happy Hour Wagon Ride and learn how to drive a team of donkeys. Built around 1721 by the Danish settlers, this plantation made rum, sugar, and molasses for decades. But its rum days are behind it, as it was turned into a museum that you can visit to learn about sugar production. The windmill, slave quarters, and the factory have been preserved and are part of the tour. There’s an admission fee for Annaberg Plantation, but the scenic views and walk back in history is well worth it. Trails are part of the charm of St. John. This trail, however, offers an exceptional experience, since it cuts through the jungle vegetation as it winds down to Reef Bay. It’s a 2.5 miles trek on rock ground so you’ll need a pair of trusty shoes to take you down the trip. Along the way, you can see an ancient petroglyph site with its famous rock carvings and, if there have been recent rains, a waterfall. This quaint town is the main hub of St. John — the island that the locals call Love City. It has beautiful restaurants, shop-lined streets, and bars to quench your thirst. The Virgin Islands National Park Visitors Center is in the center of town. Get a first-hand taste of the charms of a small town nestled against a beautiful bay. You can easily spend a whole day here shopping, dining, and drinking. The friendliness of the locals is just the icing on the cake. Last, but not least, is the biggest attraction of St. John. The Virgin Islands National Park covers over 60% of the island and is filled with coral reefs, beaches, and hiking trails. You can’t possibly take it all in on one short stay, so ask the concierge staff at Cimmaron StJohn for recommendations to get you started until you can continue to explore on your next trip to St. John. It is so worth it. St. John is one of the most scenic islands in the Caribbean. 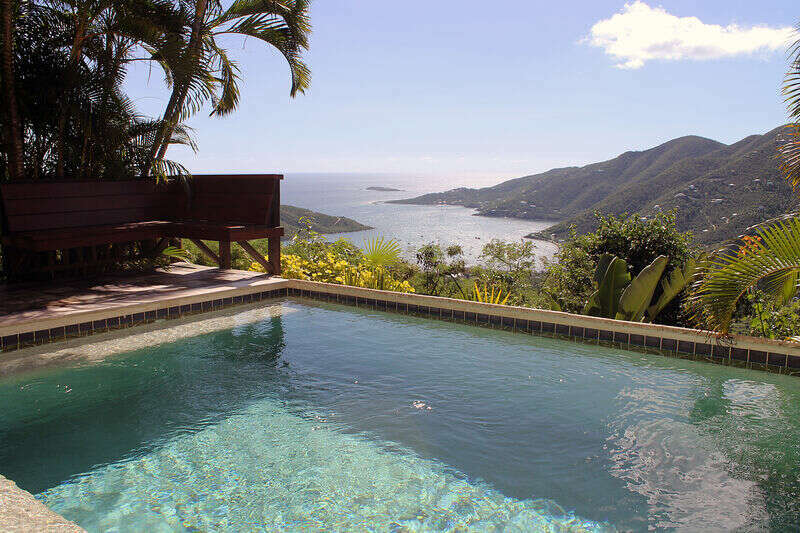 Call us today for more information about St John activities and to book your vacation rental.